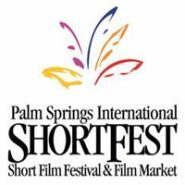 This year’s jury members at the Palm Springs Shortfest were Dan Ireland, director; Lael Lowenstein, President Los Angeles Film Critics Association; and Guinevere Turner, writer, director and actor. This little group – including our beloved Guin – chose a bunch of short films as winners. A total of 314 films were screened at the 2010 festival with 27 films given awards by judges and the audience. BEST OF FESTIVAL AWARD – $2,000 cash, Software Package courtesy of The Showbiz Software Store. The winner of this award becomes eligible for Academy Awards consideration. Betina, a lonely spinster, meets what appears to be the man of her dreams online, and in the course of time he proposes to her. After quitting her job and selling her apartment, she makes the arduous trip to be with him, but what awaits her is a wholly unexpected fate. FUTURE FILMMAKER AWARD – $2,000 cash, Software Package courtesy of The Showbiz Software Store, Ultimate Stock Footage Collection courtesy of Footagefilm.com, Final Cut Studio provided by Apple. After calling her husband to tell him the good news (they’re having twins!) a woman heads for home on foot, when a stranger accosts her on the street claiming to know everything about her. PANAVISION GRAND JURY AWARD – Panavision Camera Package valued at $60,000. Stealing from summer cottages during the brutal off-season winter months, a transient and his faithful dog make a tragic discovery. JURY SPECIAL CITATION – The jury presented a special mention to Flawed (Canada) directed by Andrea Dorfman “for the originality of its artistic expression, its genre-defying aesthetic and its emotional resonance.” Artist/filmmaker Andrea Dorfman’s drawings burst colorfully into life as she animates the story of her long distance relationship with a man whose profession (plastic surgeon) gives her (and us) plenty of fodder.